A gold loan is a quick way to raise funds in times of need. In an earlier post, we had discussed gold loan products from the State Bank of India. With such gold loan products, you can take a loan against physical gold and jewellery. However, purchasing physical gold and gold jewellery is not the only way of owning gold. As an investor, you can also take exposure to gold by way of Gold Mutual funds, Gold ETFs and Sovereign gold bonds too. Is there a way through which you can monetize these gold investments while continuing to retain ownership these investments? To put it simply, can you take a loan against these gold investments? Yes, you can. In this post, let’s look at a loan product from the State Bank of India where you can pledge your Sovereign Gold bonds to get a loan. Please understand this loan product is only for loan against Sovereign Gold Bonds (and not gold mutual funds or gold ETFs). Before, we dig deeper into the loan offering, let’s first look at the basics of Sovereign Gold Bonds. Sovereign gold bonds (SGBs) are Government Securities denominated in grams of gold. The interest payment and maturity proceeds are guaranteed by the Government of India. The difference between holding Sovereign gold bonds and holding any other form of gold (physical gold, jewellery, gold mutual funds and ETFs) is that you earn interest on gold bonds. No other form of gold investment offers you an interest income. At present, the interest of SGBs is 2.5% p.a. The interest is paid on a semi-annual basis. The interest is linked to the price of gold at the primary issuance. For instance, if the SGB is issued at the Rs 2,800 per gm, the annual interest income will be Rs 70 per gm (or unit). Alternatively, if the SGB is issued at Rs 3,000 per gm, the interest income will be Rs 75 per gm/unit. The interest income remains constant during the bond tenure. These gold bonds mature in 8 years. Early redemption is allowed after the fifth year on coupon payment dates. The gold bonds mature at the prevailing price of gold (and not at the purchase price) at the time of redemption (8 years or as the case may be). Therefore, even though the Government guarantees the payment, you still carry the price risk. Essentially, you get the market value of gold (which may be greater or lower than your purchase price) at the time of redemption. The Government comes out with Gold Bonds tranches on a regular basis. You can subscribe to such bonds at the time. Alternatively, these bonds are also listed in the secondary markets. You can buy or sell these bonds on the stock exchanges too. 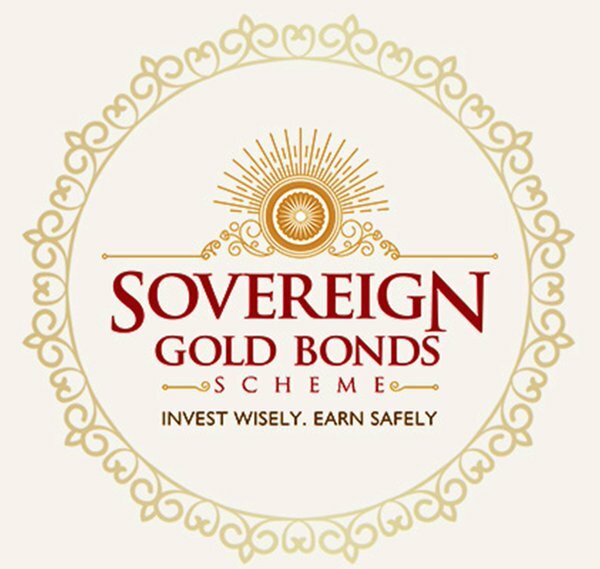 For more on Sovereign Gold Bonds, refer to FAQs on Sovereign Gold Bonds on RBI website. These gold bonds are eligible to be used as collateral for loans from banks, NBFCs and other financial institutions. Let’s find out more about the loan offering against such bonds from the State Bank of India. If you hold the bonds in physical form, the bonds must have been purchased through the State Bank of India. If you hold the Sovereign gold bonds in demat form, you must hold these bonds in a demat account with SBICap Securities Limited. If you have these bonds in another demat account and still want to take the loan from SBI, you will have to transfer these bonds to a demat account with SBICap. The loan is available as both overdraft or a demand loan. Margin of 35%. You can get the loan only for the 65% of the value of the bonds. As mentioned above, the loan amount ranges from Rs 20,000 to Rs 20 lacs. LTV is 65%. As I understand, the market value of the bonds (on the secondary market) will not be considered. The market value on the stock exchanges can be very different from the value of underlying gold held through sovereign gold bonds. This can be due to lack of liquidity in the secondary market and due to impending interest payments. The loan amount will depend on the prevailing gold price (and not on price of SGBs in the secondary market). What Is Tenure of Loan against Sovereign Gold Bonds from SBI? Depends on the type of loan. Overdraft facility is extended for 3 years. A demand loan is for one year. As I understand, the loan tenure can’t exceed the time to maturity of SBGs. In case of overdraft loan, you just need to keep making regular (monthly) interest payments. You can repay the principal anytime before the end of the facility tenure. In case of demand loan, both interest and principal have to be paid on or before the end of the loan tenure (bullet repayment). The interest rate is 1 year MCLR + 2.0% p.a. At current MCLR of 8.45% p.a., the effective rate of interest will be 10.45% p.a. This is in line with rate for the loan against physical gold or jewellery. Processing fee is 0.5% of the loan amount, subject to a minimum of Rs 500. GST shall be levied on the processing fee. Your SGB investment will be pledged for the purpose of this loan. You can’t sell these bonds till such time pledge is removed on these bonds. The bank will release the pledge only once you repay the loan. You will continue to get interest payments in your bank during the course of this loan. Do compare the interest rates on personal loan before opting for this product, especially if you have a good credit score.